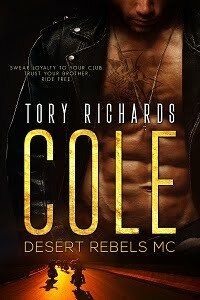 TORY RICHARDS: First Review In for Someone to Love Me! First Review In for Someone to Love Me! ...and it's a good one folks! Someone to Love Me is a touching story of moving on and finding love again. We all need help at times and to share our pain with someone who understands, preferably someone who has been through what we are experiencing and feeling. That these two fire up the other and share a passion as wild as the country they are in while healing their wounded souls is an added bonus. Someone to Love Me is a moving story about two passionate people who do as much healing for the other as they do loving. Four Hearts from Sizzling Hot Books! Congrats on the rave review, Tory. Thanks for the good advice Nancy, and the congrats on the review. Since this has just come out the only place it can be purchased is probably the publisher's website, and in ebook form. And it will be in print eventually...or so I'm told.